Osaka might not have the wealth of historical and cultural attractions that Tokyo and Kyoto can claim, but that doesn’t mean that it is not among the premier tourist destinations in Japan. Osaka is the urban paradise you’ve always dreamed of, with mazes of high rise buildings, neon lit signs, sprawling shopping centers and some nice parks. The city truly comes alive at night, when the clubs, bars and izakayas open their doors. 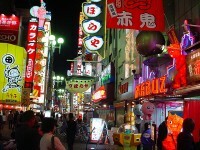 Osaka’s nightlife can be as bustling as Kyoto’s and as elegant as Kyoto’, depending on what you want. 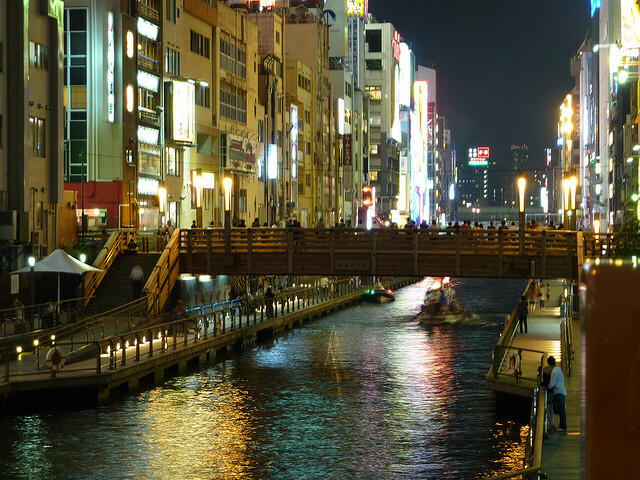 If you are a night owl who prefers to spend their nights dancing and having fun, check out this guide to Osaka’s nightlife to get some pointers on this great city. 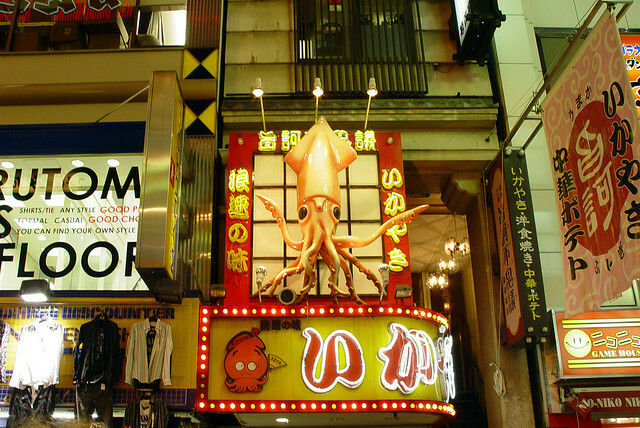 Each one of Osaka’s many districts has a nightlife area as well as scatterings of venues each and every way, but Kitashinchi is the beating heart of Osaka’s nightlife, with more venues than any other part of the city. The nightlife of Kitashinchi is the kind that will require you to put on your Sunday best and comb your hair, because these stylish clubs and bars are for the cream of the crop of Osaka’s society. Businesspeople come to Kitashinchi to entertain their clients, but many people come just for the fun. The narrow streets of the district are a tangle of neon signs and boards inviting customers inside. Dotonbori has been an entertainment district since the 17th century, when it was already filled with teahouses and kabuki theaters. 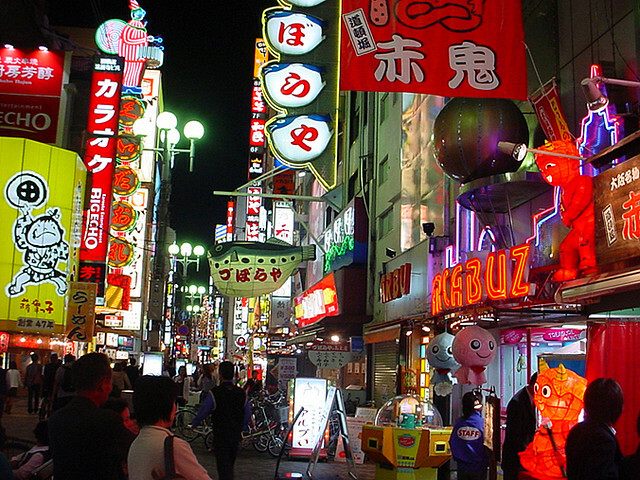 Today, Dotonbori is Osaka’s rawest, most shameless and most authentic nightlife district. A fashion addict can spend hours just watching to revelers on their way to some club or bar. There are several famous restaurants in Dotonbori (Kani Doraku is perhaps the best known), and countless clubs, bars and host/hostess clubs. 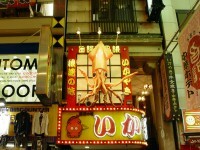 However, there are many small bars (izakaya) as well, and these tend to be easy on the wallet. If you are not in the mood to waste your time in Osaka sleeping, but you’re not a fan of noisy and rowdy nightlife, step back in time to the Japan of the old, when elegance was the key word in everything. Hozenji-Yokocho street is lined with lantern lit cafes, tea houses and small restaurants where you can spend the evening imagining the golden days of Osaka. During the day, Shinsaibashi is one of the busiest shopping districts in Osaka, but come evening several of the clubs and bars in the area suddenly come to life. The nightlife in Shinsaibashi can be relaxed and low key, with reggae bars and jazz bars where you can hang out and chat with friends.